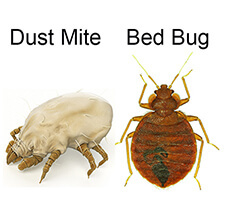 After being invaded by these persistent red coloured tiny bugs in our bed mattress and being bitten on a few occasions, this really caused some major concerns and lots of sleep ‘deprivation’. After researching the ‘net I discovered the Red Bug Barrier powder and read the research and testimonials, so I gave it a try .. I am very pleased to say that after about 1 elapsed week all of the bugs and their eggs are destroyed. I would recommend this treatment as a very effective method for eliminating bed bugs.. just follow the instructions. I repeated the exercise a couple of times to make sure. It works !! !.